Mitten is selected for the Musical Documentary Competition at Fipadoc - International Documentary Festival. 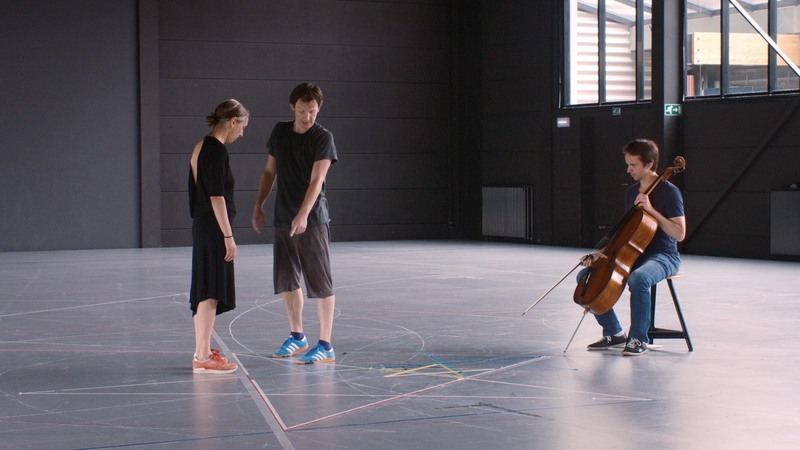 Mitten follows the final weeks of rehearsal of Mitten wir im Leben sind, the performance by Anne Teresa De Keersmaeker, her company Rosas and cellist Jean-Guihen Queyras, based on the six cello suites by Johann Sebastian Bach. The film offers an intimate glance into De Keersmaeker’s meticulous methodology, in which a choreographic universe is built up through a careful study of musical composition. This intense creative process of continuously reshaping and honing, characterised by De Keersmaeker’s inexhaustible longing for precision and detail, is reflected in the filmmakers’ patient look at the work of the choreographer, the musician and dancers.